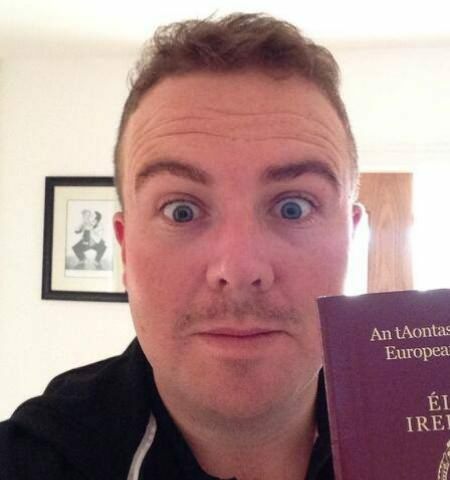 Shane Lowry shows off his Movember moustache before his latest trip. Shane Lowry admits it would take his “about four years” to grow a handlebar moustache to match Padraig Harrington’s amazing Movember growth last year. But that doesn’t mean he won’t be getting a grip on something just as important to him this winter — his fitness and dedication. The burly Offaly ace, who’s been getting stick on the range at this week’s Turkish Airlines Open for his fledgling Movember charity ‘tash, plans to get more serious about his fitness this winter. After suffering a few injury “niggles” this term, the 26 year old wants to avoid the injuries that left super fit Tiger Woods (37) “hobbling around” during the recent Presidents Cup. Shane Lowry practices ahead of the Turkish Airlines Open presented by the Ministry of Tourism and Culture, hosted at the The Montgomerie Maxx Royal, Antalya,Turkey. 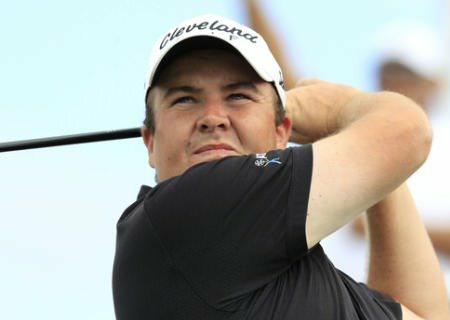 Picture: Fran Caffrey www.golffile.ieDesperate to win a Ryder Cup spot next season, Lowry said: “I have a plan in place for the whole month of December and you will see me coming out in January all guns blazing. “I get questioned quite a lot, my fitness so I’ll do a little bit on that and just be more disciplined this year than I have been in previous years. “I have come out every January and been a bit sluggish and not playing as well as I probably should be. It just feel like I need to do something this year. The Clara man is not looking for six-pack abs to match gym junkies Woods and Rory McIlroy but just enough fitness to avoid chronic injuries down the line. Shane said: “Since the Tiger Woods era everyone’s gone crazy on the whole gym thing and it’s something that I had never really bought into that much. “I got a couple of niggles in my hip this year and I feel like I need to do a little bit just to keep those niggles away. Because if I’m getting those niggles when I’m 26, what am I going to be like when I’m 36, or 46? “So I feel I just need to deal with that, more so extending and prolonging my career than anything else. “I think Tiger Woods is probably nearly one of the most injured golfers on tour and you see him at the Presidents Cup not too long ago, hobbling around the place, and he’s probably the fittest guy out there. Hoping to beat Woods to his first victory of the year in this week’s $7m Turkish Airlines Open, the world No 72 then heads to the DP World Tour Championship before teaming up with Graeme McDowell in the World Cup in Melbourne. A fit looking Padraig Harrington ahead of the practices ahead of the Turkish Airlines Open presented by the Ministry of Tourism and Culture, hosted at the The Montgomerie Maxx Royal, Antalya,Turkey. 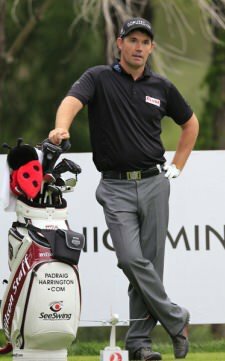 Picture: Fran Caffrey www.golffile.ieThree good weeks could see him make the world’s Top 50 and earn a Masters debut by Christmas. As for his moustache, he’s supporting Movember’s drive to raise funds for men’s health issues by donating €100 for every birdie and €500 for every eagle he makes this month. To sponsor Shane, click www.mobro.co/shanelowrygolf). On his ‘tash, he joked: “I ‘m getting quite a bit of stick about it. I’m lucky it’s not windy over here at the moment because a good gust of wind would blow it away. Lowry is still searching for his first win of the season but he’s still more than pleased with a campaign in which his missed cut on his title defence in the Portugal Masters was his first since he failed in Abu Dhabi and Dubai in January. “Portugal was a bit disappointing,” he said. “I felt like I played some good golf after a week off at home. Came out of China and I was playing okay and shot six over in the first round. Lowry was one of more than 25 players in the TOp 60 in the Race to Dubai who failed to qualify for the WGC-HSBC Champions last week. And believes the set up of the Final Series, which has been criticised by the likes of Sergio Garcia and Ernie Els because it obliges you to play two of the three events to be elibigle for the 60-man DP World Tour Championship, needs to be tweaked. That’s a tough one to comment on because it is a world event,” Lowry said of the suitability of having a WGC in he final series. “Maybe it should be at a different time of year and shouldn’t be included in the final four. “I think that anyone who is in at least the top 30 or 40 in the R2D should be able to play in the final four series. If you are 30th in the Race to Dubai, you should have a chance to win the Race to Dubai, if you have four good weeks. Lowry’s biggest regret this season is that he failed to turn a brilliant performance in the Alfred Dunhill Links into a win. But he still takes huge positives from his third place finish there. “I feel like it’s hindered me in a way at times,” he said of his more ambitious mindset these days. “I feel like I’m going into tournaments now looking to win as opposed to making cuts and having decent finishes. I definitely went to the Dunhill that week knowing that if I played decent golf, I’d a chance of winning. Winning in Turkey this week would be the biggest victory of his career, even if it does mean having to beat Woods on the Montgomerie Maxx course in Belek this week. “I like the course. I think when everyone in Ireland hears about the Monty course they think of Carton House and this is probably the complete opposite. It’s tree-lined and quite narrow in places. “It’s quite a decent course and I think the scoring’s going to be quite good on it. The greens are soft and good and the only thing is they’ll probably hide a few pins, there’s a lot of funky greens, which is probably the main difficulty this course is going to throw up this week. Shane Lowry admits that playing nine events in 11 weeks might have been a mistake but he still did well to come back from a horror start to shoot a two under 70 in the opening round of the Turkish Airlines Open. An Offaly man might win the Race to Dubai, a Major or a Ryder Cup cap before the Faithful County claims another All Ireland title. At least, that’s possibly what’s going through the mind the county's favourite golfing son, Shane Lowry, as he begins to believe that he’s now one of the greatest players on the planet. High flyer Shane Lowry admits that his life has been “plane” crazy since his fairy tale win ten days ago. 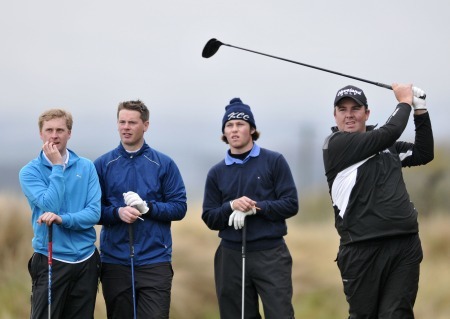 Shane Lowry at Royal Dublin last week. He’ll be at Portrush today to get ready for the Irish Open. Picture by Pat CashmanShane Lowry has been trying to follow up his amazing Irish Open win for nearly three years. But while shooting his mouth off is anathema to him, he knows his courge with his clubs will stand to him when he next gets a chance to win. In fact, he doesn’t rule out finally grabbing that second European Tour victory when he returns to his old stomping ground of Royal Portrush for next month’s Irish Open. Shane Lowry on his way to victory in the Portugal Masters last year. Photo Eoin Clarke/www.golffile.ieShane Lowry admits he’s hunting some pretty big game as he tees off his 2013 season in South Africa this week.